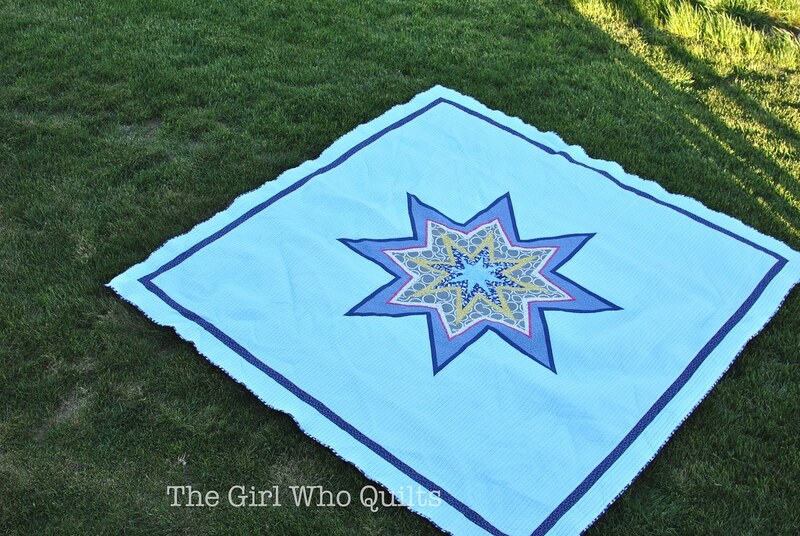 This is the star quilt that started it all! A friend asked me to create a custom king size quilt for her bed and a coordinating twin for her daughter. My friend was open to nearly every design idea that I brought to her, but I kept coming back to an image of a lone star quilt that her husband's aunt made for them. 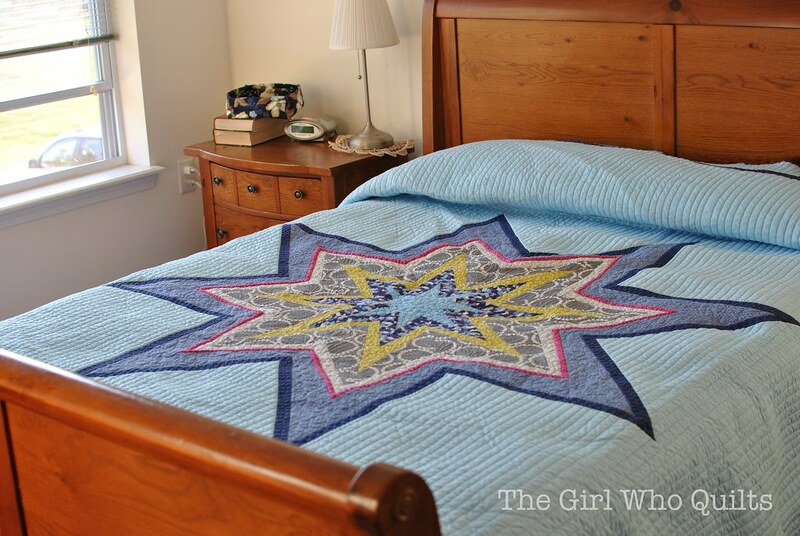 The lone star quilt was used on their bed for years, and it remains a very special piece for them. I contemplated creating a new lone star quilt, but I wanted to do something different. 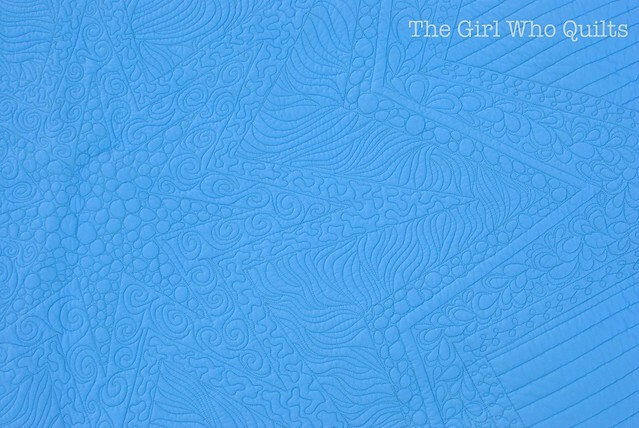 I searched quite a bit and came up with lots of modern star quilt ideas, but I couldn't get this quilt by Kati at From the Blue Chair out of my mind. I especially loved that she used paper piecing, which is a great method for ensuring that your piecing is accurate. 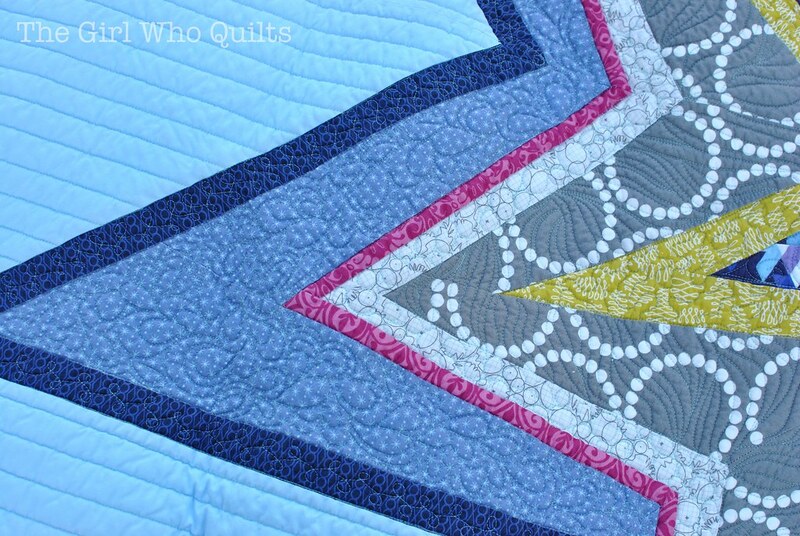 I pieced my quilt in much the same manner as Kati outlines on her blog, but I changed the design quite a bit by creating concentric stars that have quite different angles. 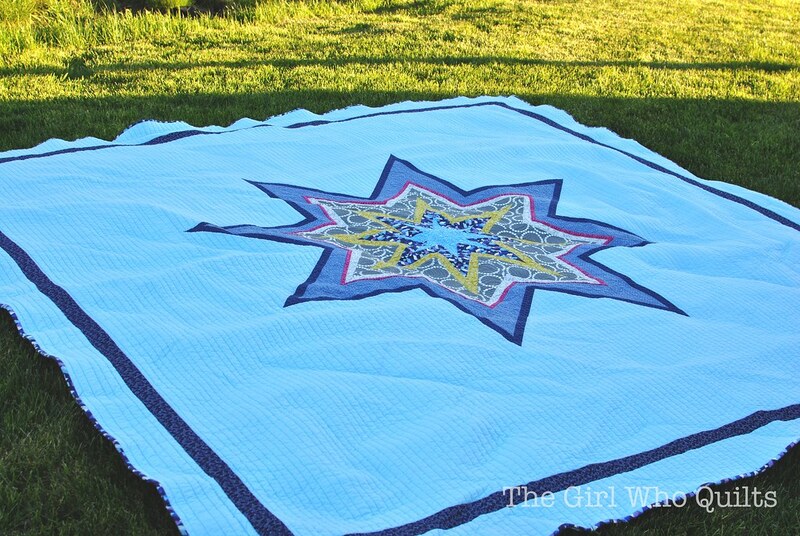 The center star is about 64" from point to point, and the entire quilt is 120" square. The star looks a bit small here, but I designed it so that it would sit perfectly on their bed. 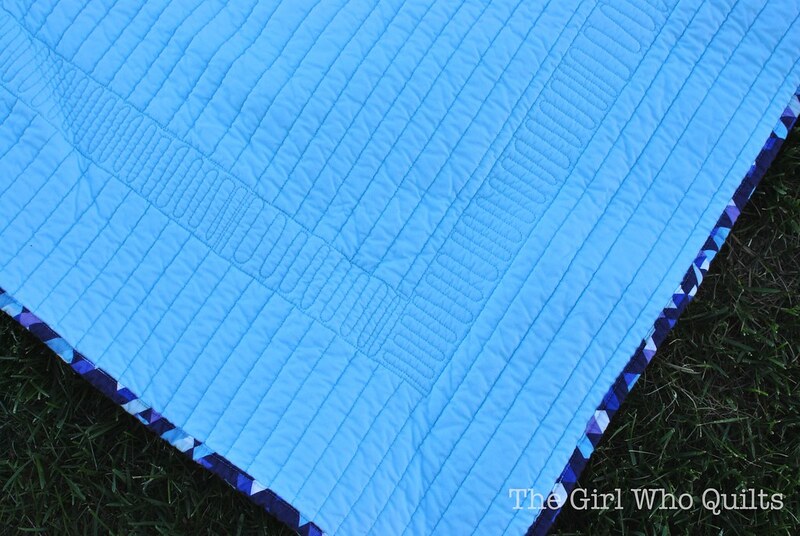 The thin dark blue border is a great frame around the edge of the quilt as it drapes on the bed! Unfortunately my colors are way off in these photos. We were rushing to get the pics before the sun went down, and we didn't have anyone to help hold this huge quilt! I wish I had more time to take better pictures, but I flew out of town the very next morning and took the quilts with to hand deliver. I took both quilts with me when I traveled back to Illinois a few weeks ago, and I was able to hand deliver them to my friend. She really loves both of them, and I've seen several photos of them in use! This was biggest custom order that I've ever received, and I was a bit nervous to quilt this giant quilt. But I think they turned out quite well in the end!